My yoga teacher training at Studio Blue is complete. 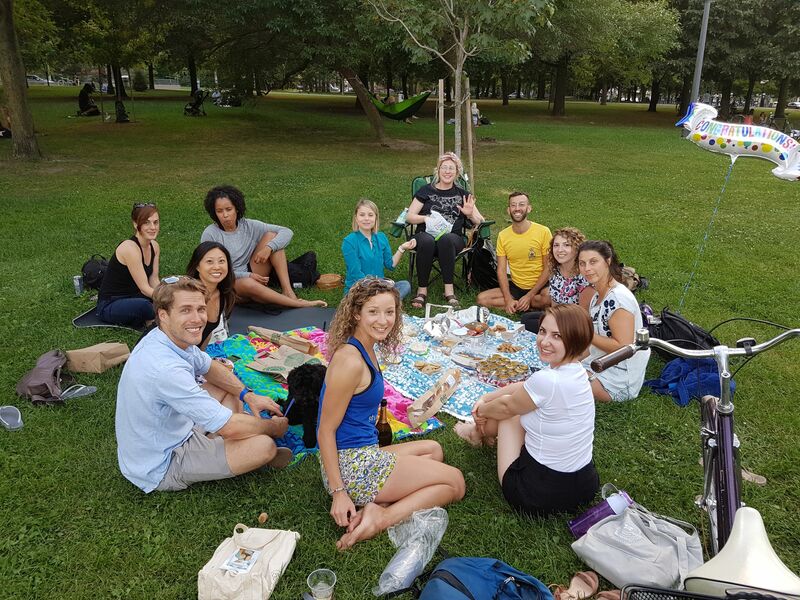 We celebrated with bubbles in Trinity Bellwoods park, and it was wild to look back at how much has changed in the past eight months. There’s a sense that personal growth is getting over things, moving past them, “transcending” them. What I’ve found in the practice of yoga, and the invitation to go deeper into it through the teacher training, is that this isn’t quite right: growth is actually about going into yourself, sitting with the present moment, and looking things in the eye. For me this has meant getting in touch with what really matters to me: not what other people want of me, or think of me, or would like me to do. This is seen in something so basic as where I put my mat in the studio: no longer self-conscious, I lay it down at the front of the room, or wherever it will fit in a busy class. It’s not a big deal to me like it used to be, to show up and be seen. I now know what it takes many to figure out over the course of a lifetime: that no one really cares what you look like or what you are doing, because they are too involved with themselves. And in a yoga class, that’s a good thing. I feel connected to my body in a way that I never have before. I feel comfortable in it, in my skin and in my muscles and how I move through a room. I understand in a class how to move into and out of each posture without fear of injuring myself. When running through the park, I think about alignment to protect my knees; when lifting heavy boxes, I’m mindful of the muscles that protect my back. I’ve also been invited to consider how we have the opportunity to design our lives, to make choices about who we are and what we do. After a lot of thought, I realized that I had been wanting to move back to Montreal for years, but I’d been too afraid. Moving is a massive change: it means leaving your job and your friends and the people you love; it means mourning the life you’ve made and at the same time mustering up the strength to start something new. I moved the morning after our teacher training ended, and I’m writing this now beside a hot cup of coffee in my kitchen in the plateau. More than anything, then, it’s been a journey of self-exploration and self-actualization. 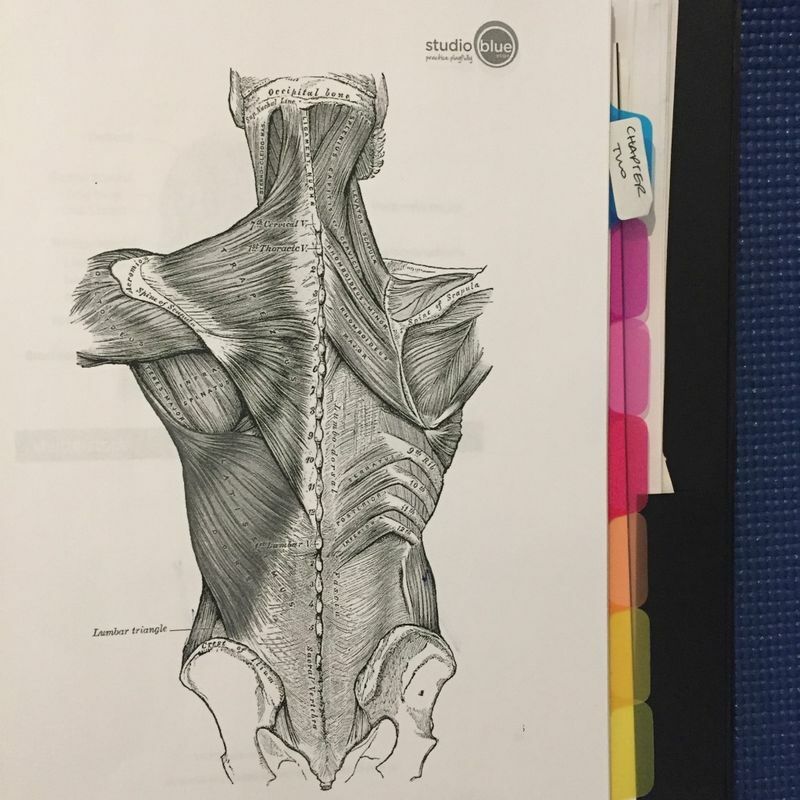 The lessons on anatomy and history have all been a part of that, and it’s been incredible to see how my classmates have grown and hear how they have connected more deeply with themselves and the people around them. The training culminated with a panel on the brass tacks of what it is like to be a yoga teacher, both part-time and full-time: what a day in the life looks like, how much studios and private clients pay, how many classes is reasonable to teach in a week, and how to implement yoga teaching now that we have completed our 200 hour training. We also had a lecture and group discussion on the ethics of yoga, which included everything from how we interpret the yogic principles in our lives in 2017, to the commodification of yoga, to the issue of teacher-student relationships. These conversations were a great way to cinch the training and launch us forward into the next step on our teaching journey. Many of us will go on to do a mentorship training where we will be partnered with a teacher at Studio Blue and teach classes with them in order to get more hands-on experience in the studio. Jess is also developing a series of top-up trainings, including pre- and post-natal yoga teacher training and a pilates teacher training. These are particularly exciting because throughout the past eight months we’ve been encouraged to find our own voice and our own niche: what style and type of yoga makes the most sense for us in the room. For some that’s teaching restorative classes, for others it’s pursuing the more fitness-infused. For me, my journey continues here in Montreal. Kiran closed her session with us this weekend with this: “May you live like the lotus flower, at home in muddy waters.” Thanks in great part to the training and Studio Blue, I do. We use them, and we don’t use them. Not using them has its effects, and sometimes those effects are profound. It can sometimes be helpful to stop doing the things that make you feel good, even for a brief moment, in order to remember why you do them in the first place. 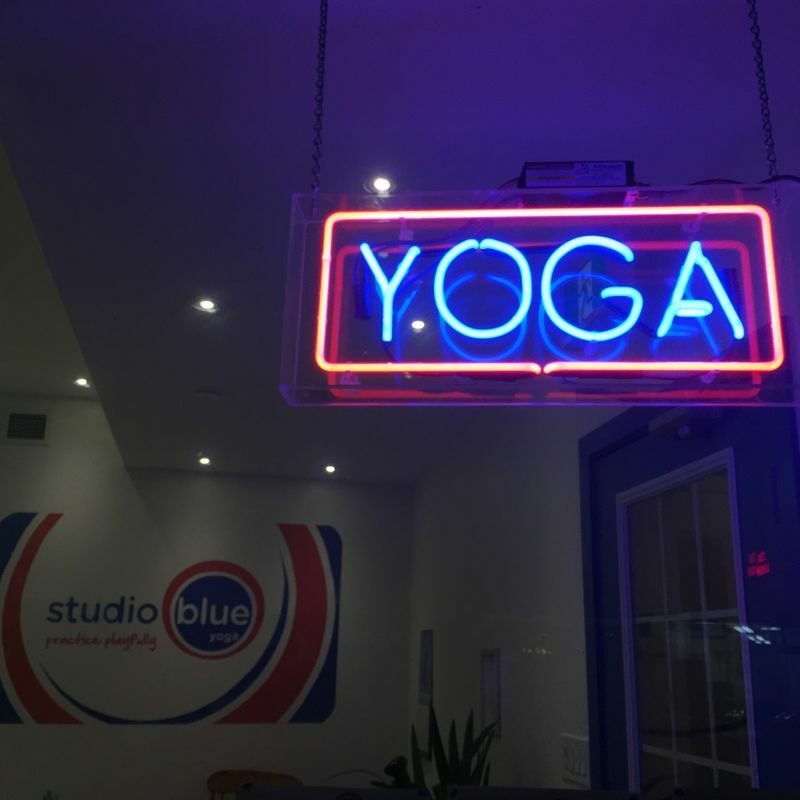 One of the great things about the yoga teacher training at Studio Blue is that it happens once a month, for one full weekend a month, so that it doesn’t take over anyone’s life. Many people in the training have full-time, 9-5 jobs as well as other obligations and interests. Along with the training weekends, we get 8 months of unlimited yoga classes we can take at the studio whenever suits us best. As a writer, I balance many different projects and contracts, and I’ve found since this September that having a regular yoga schedule is the one thing that grounds me amidst all the hustle. It keeps me calm and clear-minded, helps me commit to a routine, and connects me to a community outside of work. That said, life can get busy. I was out of town for eight days this month visiting family, I was at the most intense points of a couple of contracts, and I fell off my yoga schedule. I still made it to a couple classes a week, and I was better able to maintain a home practice when I didn’t get to the studio, but I immediately felt the difference of what it’s like to be sore and stiff all of the time, for headaches and knots to kick in, and for my clothes to feel uncomfortable. All of the positive effects I felt when starting the teacher training, I now felt in negatives. And I remembered why I come to yoga in the first place. The fact that training happens once a month means that I was able to give over my life to work and family when I needed to, I was reminded of why I make the time and space that I do to practice yoga, and I had the time to get back into it before the next training weekend—which will challenge me and inspire me and launch me forward into the next month. Last month, we had our first restorative yoga lesson, and in anatomy we learned about the nervous system and yoga can offset the negative effects of stress on the body. Minds were blown when we learned about the digestive system. So much has been illuminated about muscles, bones, and systems, and this is increasingly informing our understanding of practicing and teaching yoga. Everything we’ve learned about anatomy, history and philosophy, and class structure is starting to come together into something cohesive and personal. Halfway through the training, I can now give you a pretty solid summary of the history of yoga. I can speak to various philosophies on yoga, breathwork and meditation practices. 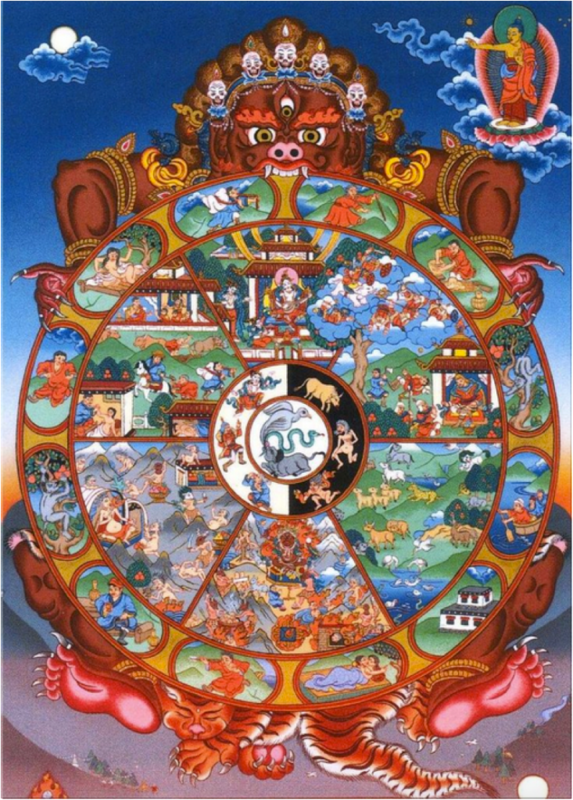 I have a growing understanding of Sanskrit words and their meanings. I can label diagrams of the human body with the names of forty different muscles and bones. I can lead a room through Sun Salutations A and B. And there has been so much more foundation laid for what we’ll be accomplishing in the second half of the training, where we get into sequencing, alignment, and deepening our own practices, styles, and approaches to teaching. And while it can be easy to forget just how real the benefits of a regular yoga practice are, especially when you understand the specifics of what your body is doing in movement and in stillness, it can be just as easy, and also joyful, to remember why you practice in the first place. The nitty gritty of the human body. Here’s an update three months in: I now take class in the front row when I can. After covering learning styles in training, I finally clocked that I completely lose the class the minute a teacher stops demonstrating and starts moving around the room. I’ve been working as a college teacher for five years now, so it’s especially strange that I’ve never made that connection before. Go figure. It’s not just the noticing that I need to see to learn (and that I can’t see from the back row) that’s got me up at the front. It’s also a developing sense of not judging myself, of really being on my mat, humbled and doing my own thing, that makes me comfortable up there where I can be seen. The second weekend of our yoga teacher training was packed with lessons on how to structure classes, what kinds of best practices exist for teaching, and what kind of language to use while teaching, as well as our continuing classes in the history and philosophy of yoga, meditation and breath work, and anatomy. In our philosophy class, we talked about The Bhagavad Gita (“The Lord’s Song”), which defines yoga as an evenness of mind, or a self-mastery of the mind, and teaches that there are three paths to get there: the path of action, the path of knowledge, or the path of devotion. Each of these paths has its own characteristics and benefits, and all ultimately lead to the same result–a release from strife. The Gita asks us what our unique life purpose is and how we are able to serve others, which started a discussion in our class about gifts and the different ways we can help make the world better. When I was younger, I used to wonder a lot about what I should do with myself: pursue a life of charity or a life of the mind. It was a big question and ultimately the wrong one because it was too big and too unwieldy. It was interesting to see the Gita propose that a life spent helping others, a life spent studying, and a life spent praying all lead to the same place, and neither are viewed as better or worse than the other. It’s also struck me since starting training that as much as people like to talk about affecting positive change in the world on a grand scale, the deepest ways I’ve seen it happen is in small but purposeful gestures. In the studio, a passionate teacher who embodies patience, kindness, and brings their own personality with that can have a great impact on someone going through an embodied challenge. With Jess in class we talked about sequencing: taking care to prepare people in our classes so that they are safe, warm and strong, and able to do things they didn’t think they could. This is something Jess has done for me as her student many times, and in that progression, she has changed my view of what I think I’m capable of. Of course that resonates through everything I do, and brings a newfound feeling of remembering that I enjoy the things that are hard and am able to push through the things that are challenging. A couple of weeks ago I went to give a guest lecture to a university class and I thought I was going to throw up or keel over; like muscle memory, Jess’s voice popped into my head (“breathe here”), and I was reminded of the kind of knock-on effect positivity can have. What yoga is and what it has meant to the people who do it is a fluid thing. It isn’t fixed–like anything, yoga changes with the culture, time, place, and people that adopt and practice it. Jess often includes pilates in her classes, and the studio has a number of pilates classes as well. Training weekend we had Alwynn Taylor come in and teach us a class on pilates. Joseph Pilates developed his method (named after him) during and after World War One, and one of his inspirations was the Ancient Greek ideal of the balanced body, mind, and spirit. Pilates studied yoga, boxing, and animal movements, among many others, and he and his wife developed a loyal following in the dance and performing arts community in New York for many years. Alwynn really channels the mind-body-spirit connection in her classes, which are deep and soulful and have also had a huge impact on my self-image and how I move through the world. 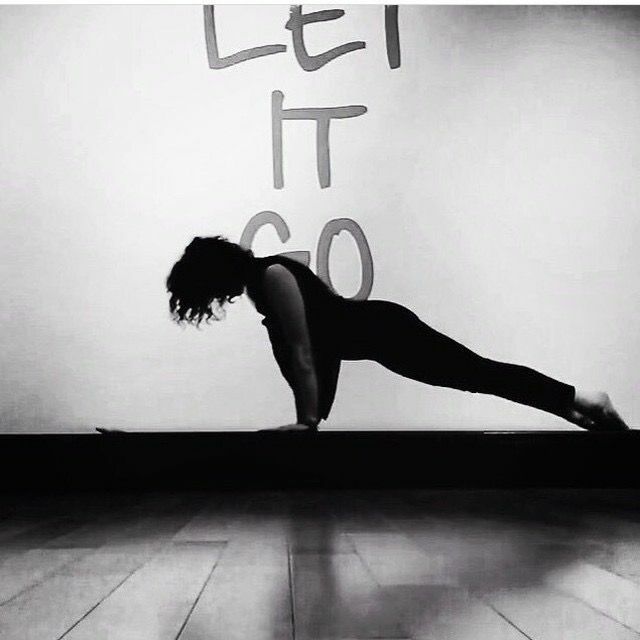 Both yoga and pilates as we engage with them in the studio are practices of strength, balance, movement and mindfulness, and both are not just an activity but a way of being. In terms of gifts and how we can make positive change in the world, I can only speak for my experience with teachers like this: Jess, who has reminded me to smile while becoming strong, and Alwynn, who has reminded me of grace. There are moments when you’re afforded the opportunity to meet people and connect in ways that don’t often happen otherwise, living in the city and being full-grown. Our first weekend of yoga teacher training, and the following time being in the studio and around the west end, has been one of those unique times when you get to connect with new people who are warm and interesting and different from you and yet have happened across a lot of the same ideas you have. An opportunity to find your tribe. There are twelve people in the yoga teacher training program, and we spent a full weekend together connecting with the studio, taking classes together, learning about the history and philosophy of yoga, practicing breathing techniques and studying human anatomy. The weekends are intense and monthly, and the rest of the time we have the opportunity to study, reflect, and take as many classes in the studio as we like. There’s a palpable feeling of excitement when we see each other in regular classes through the week or when we run into each other on the street. On Saturday night, I ran into a classmate on Bloor and we bubbled over talking about books and classes and the merits of cabbage. In the studio we all say hi and check in and crack wise. It’s creating a lot of warmth in what is already an unseasonably warm January. I have certain proclivities for History & Philosophy, and we spent our Saturday morning learning the basic tenets of Jainism, Hinduism and Buddhism with Kiran Sohal. Her lectures were passionate and open and accessible and super interesting and covered an introduction to yoga and its early origins, vedic culture and key teachings, yoga and renunciation, sramana traditions and the Buddhist Bhavachakra. It was a beautiful way to spend a Saturday morning. 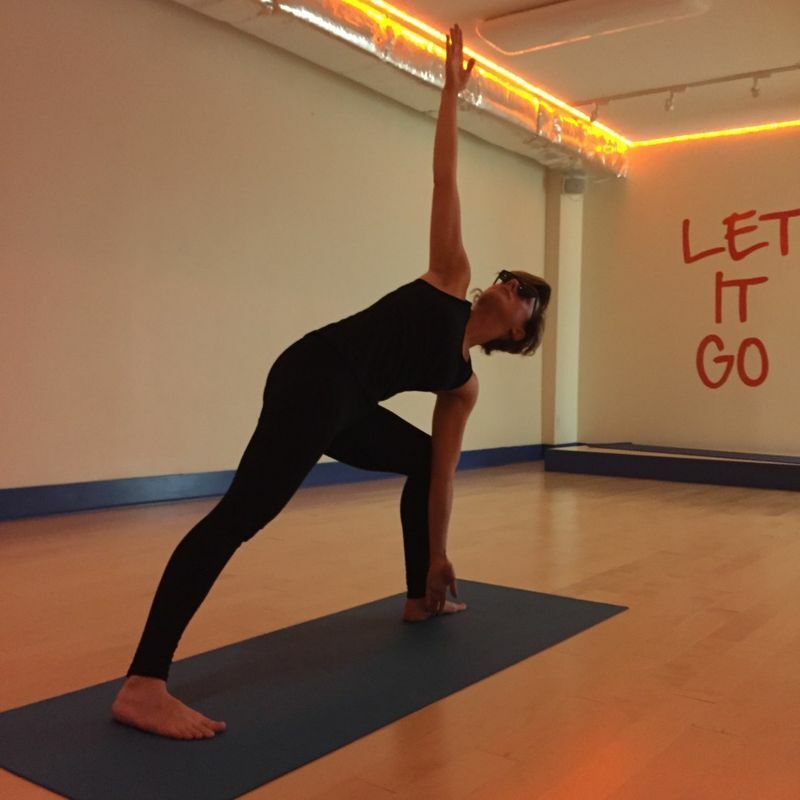 And then we got to move with Jess in the yoga classes she runs for us–challenging and purposeful classes that are super fun, not only because you can feel the intense concentration in the room. 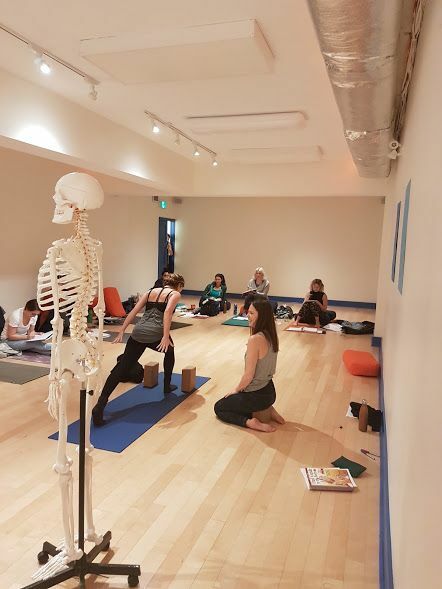 In our Anatomy lesson we got an introduction to human anatomy and how various muscle groups are engaged in yoga poses, taught by Leah Von Zuben and Amy Thieu. Crayolas were involved. One of the things we have to do for class is practice one of the breathing techniques we learned with Linda Kang for ten minutes a day. It’s an invitation for me to keep up with a kind of meditation practice. And that’s one of the benefits of being in something like school: being accountable to someone as a way of doing the things you want to do anyway. 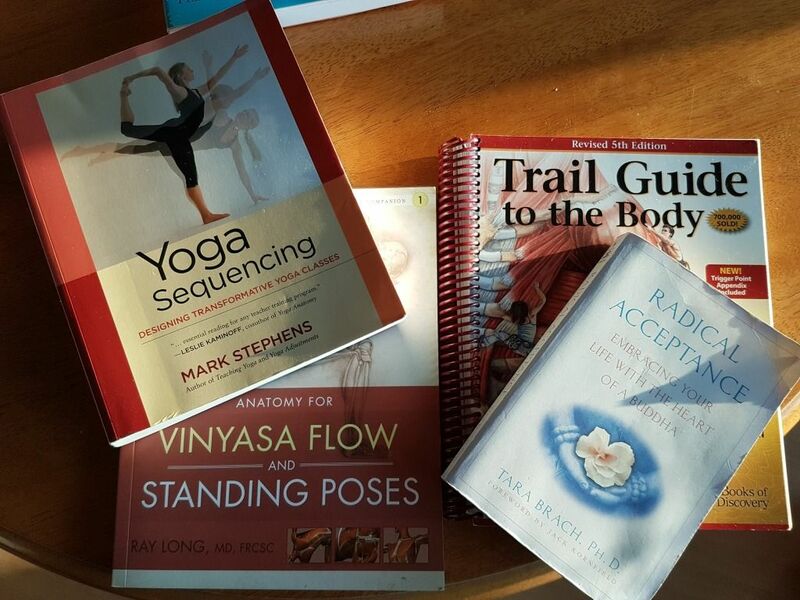 I’ve eagerly gotten my hands on all the books, required and recommended, for the Studio Blue Yoga Teacher Training that’s starting up in January. I’ll be traveling for the next two weeks through England and France, and while I normally pack light, I can’t resist bringing Andrew Biel’s Trail Guide to the Body with me. It’s a thick, colourful illustrated manual on the body that’s structured like a hands-on tour to help you identify and treat parts of the body. On a black-clothes-to-textbook ratio in my backpack, they’re about equal in size and weight. I’m excited to read this book first because there’s so little I know about human anatomy and functionality; like so many people, I just take my body around town, not really knowing what it’s made of and how it works. Which is a funny thing: because it’s the ship we’re in. Over the holidays I’ll be nose-deep in the trail guide, and when I get back to Toronto I’ll start up on Mark Stephens’s Yoga Sequencing: Designing Transformative Yoga Classes, a beautiful book that walks you through how to design yoga sequences for various purposes and audiences. I know when I practice alone, this is one of the places I get lost–all of a sudden it seems like I only know five poses, and one of them is lying down. I’m really looking forward to this one since it will be the first step in the creative side of putting together a yoga series. I’m the person in the back of the room trying not to be seen by anyone as I move through the strange and beautiful dance that is a yoga class. I was never an athletic kid. I wrote poetry. I had asthma. I started doing yoga when I quit smoking six years ago, but I could never keep it up: I was intimidated, I didn’t like being bad at things, and I hadn’t made taking care of my body a priority. But, maybe most importantly, I hadn’t found my place yet—a studio where I really liked being—until I found Studio Blue, a place that is warm and kind and sometimes plays Drake. I started actively going to classes a year and a half ago—with gaps when I was traveling or really busy with work. Since then, I’ve had this pesky thought about doing a yoga teacher training program—something that really scares me, which is, of course, part of the reason I want to do it. So when I saw that SB was offering training for the first time, I knew I was screwed. I often come back to the work of Brené Brown and other American self-help/researcher types. Brown began as a shame researcher and landed with a theory on wholehearted living: she believes that people who live the most fulfilling, wholehearted lives are those who are brave enough to be vulnerable; to show up in their lives and be seen. This isn’t something that comes immediately to me. I love connecting with people, yes, but I’d also wear sunglasses indoors or in the dark or in the back of a yoga class—basically all the time if I could. And, as someone who has often been able to talk myself out of trouble or into opportunity, I still find myself trying to do that in my yoga practice. But here’s the thing: you can’t talk your way out of a backbend or balancing pose. You just fall over. I went to the yoga teacher training session, where Jess gave a little presentation in the treatment room at the front. She said she’s aiming to have a small training program with between five and ten people in the first round. For the first four months, the focus will be on philosophy, history, and functional anatomy; the anatomy sections will be taught by a clinical lecturer at the University of Toronto and a massage therapist. The training will begin with the historical origins of yoga and move through yogic texts, hatha and tantra traditions, and the emergence of modern yoga. Jess has organized a couple of panel discussions: one on how to live your yoga—how to take philosophies from 5000 years ago from another culture and country and integrate them into your own life—and the other about the business of yoga: the brass tacks of being a freelancer as well as social media and marketing. The training will then move into teaching methodology, postures and sequencing, and culminate in a practicum where each student is assigned a mentor and begins to teach their own classes. That said, not everyone takes a training program because they want to teach. Many people simply want to learn, or challenge themselves, and or take a risk for whatever likely or unlikely thing they want. 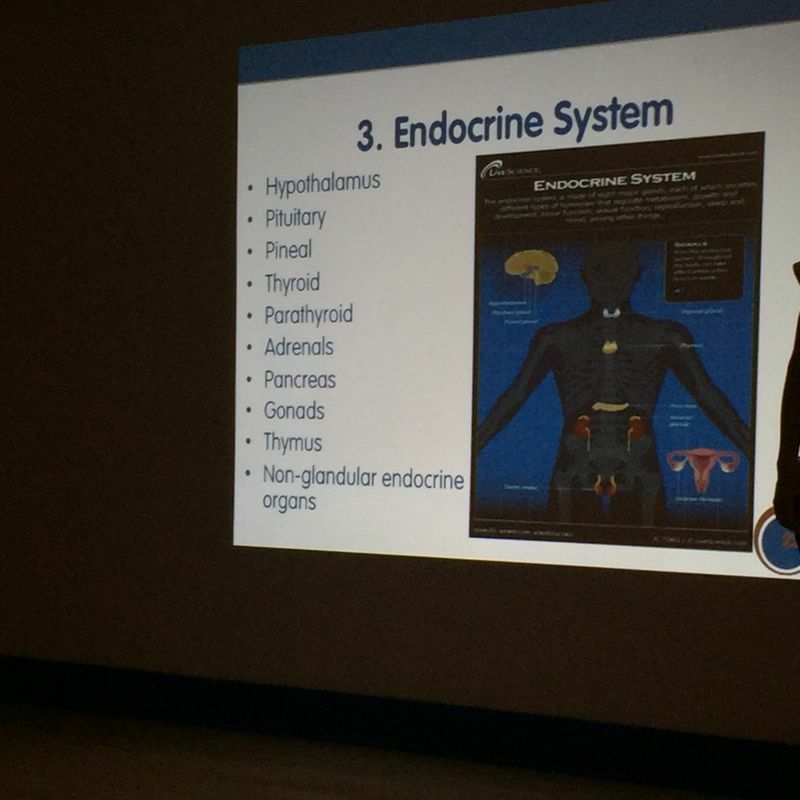 Both myself and the other person in the info session were worried about our physical fitness: would we be good enough? There are still so many things that we can’t do. Jess said there are three qualifications: be kind, be open to learning, and be willing to change your perspective.